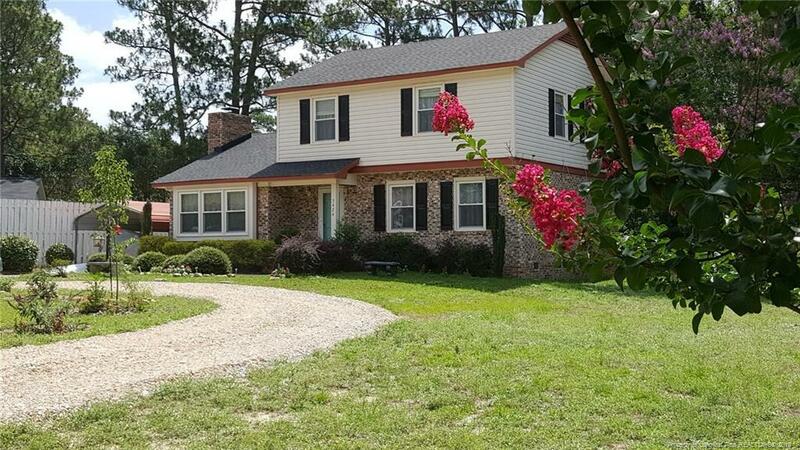 Fantastic Deal in Hope Mills NC. Lovely Remodeled 4 BD+2.5 BA in Front of the Lake. Furnished or Unfurnished. Huge Front and Back Yard(Rear is Fenced).No HOA Fees.New Roof, New window coverings, Circular Driveway. Formal Dining Room, HUGE Living Room, Kitchen w/matching SS Whirlpool Appliances, 1/2 bath & Laundry Room. NEW-tile shower in master bath with mosaic accent.Dual pane windows, covered carport, huge shed, double french doors.